Cyrsti's Condo: Full Time Is In the Mind of the Transitioner? Full Time Is In the Mind of the Transitioner? "Without any conscious decision being made I have found that over this last week I have in effect gone full time. Last week I went to both a rehearsal at my Church and a CIWM meeting authentically, I also came out to my RSCM committee and the All Soul's Orchestra and have received nothing but support. 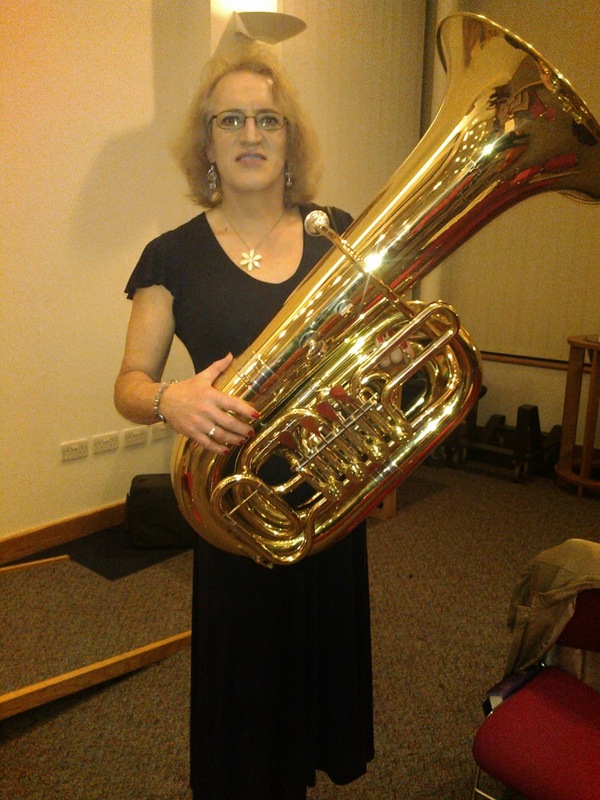 Then on Sunday evening I was scheduled to be playing with the worship band for our evening service, when it came to it I just couldn't bring myself to "butch up" and so didn't bother getting changed, just refreshed my lippy and went. While in no way was I particularly flamboyant I would say that I was pretty obviously presenting female. I don't know what I was expecting or indeed what I feared, but there was no drama, no lightening bolts, and not even any comments. I suspect that my being trans in now such old news that everyone was just waiting for it happen!" For some time now, I think my life has paralleled Paula's in that I am not screaming to the world I am transgender, but in the unforgiving winter weather we are experiencing, and with minimum feminine upkeep , the world still knows something is amiss. I just don't fit in their comfortable binary gender category. I know though, I am retired and have not faced the terror of coming to work one day as one gender and the next as another. However, as Paula said people around you have to be pretty dense to not notice any transitional changes, going on with you. One way or another, I love it when someone else writes a blog post for me!!! Thanks Paula! Follow the link above to her blog. Rest assured, should you decide to make the transitional gender journey, no matter how you do it-the peaks and valleys and twists and turns will keep you guessing!